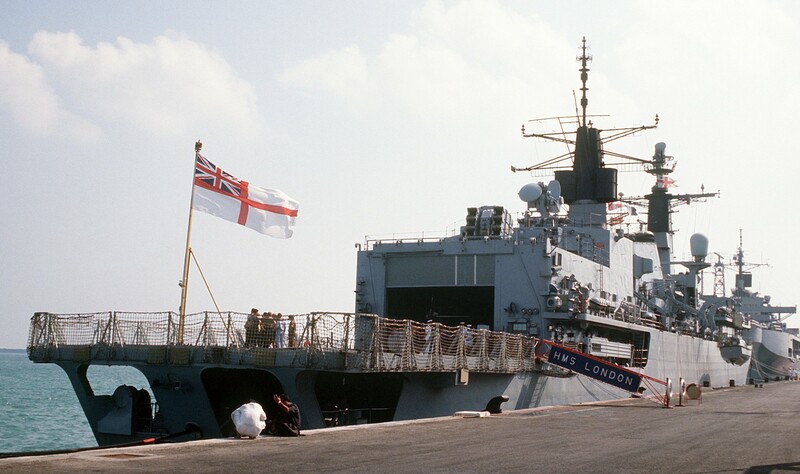 HMS London was a Type 22 frigate of the Royal Navy, originally named Bloodhound but renamed London at the request of the Lord Mayor of London. 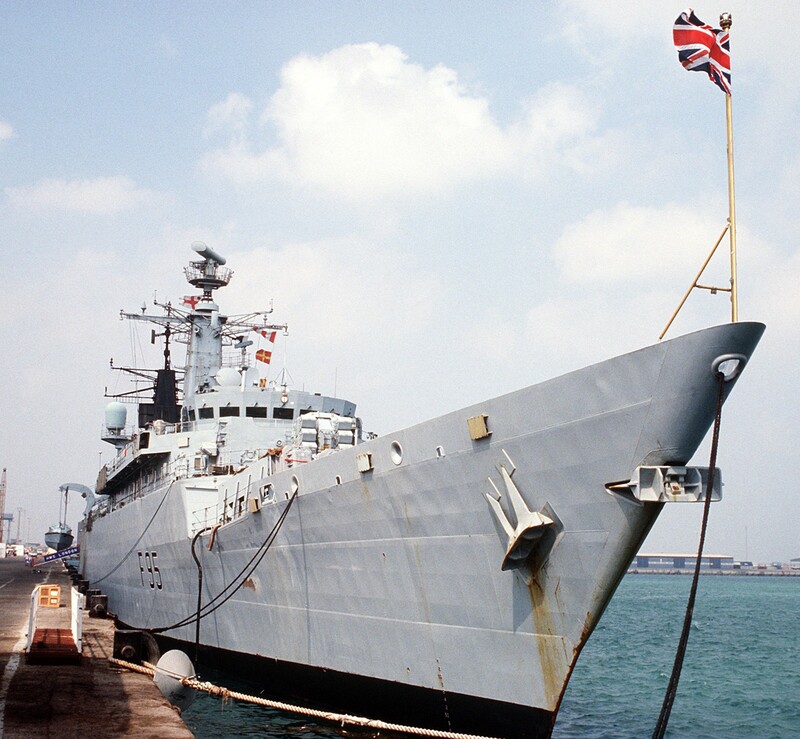 She was flagship of the Royal Navy task force during the First Gulf War in 1991. She was decommissioned on 14 January 1999 and sold to the Romanian Navy on 14 January 2003, being commissioned as Regina Maria on 21 April 2005 after Queen Marie of Romania, wife of King Ferdinand I of Romania. Before the sale the Sea Wolf and Exocet missile systems were removed, and the only armament the ship had when delivered was two 30mm BMARC cannons and two three-tube ASW torpedo launchers. 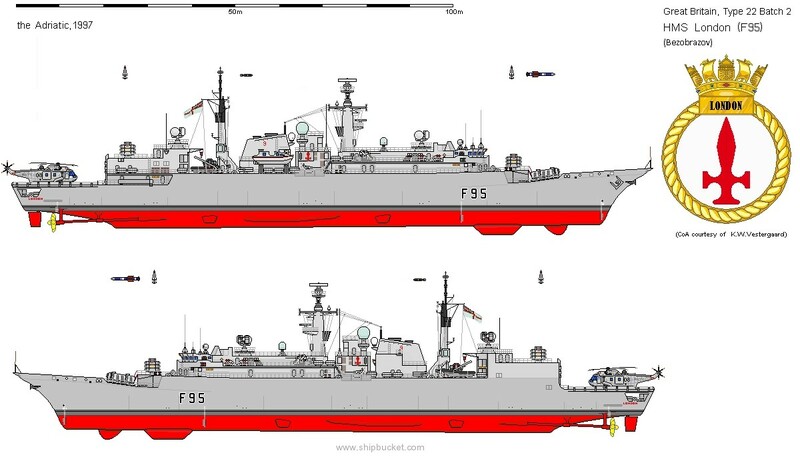 The Romanian Navy had a 76mm Oto-Melera gun system fitted forward where the Exocets had been mounted, but no missile systems, or additional weapons have been fitted. There has since been some controversy over the price at which Romania purchased the ship.